In May 2014 Britons were called upon to help commemorate the 70th anniversary of the D-Day Landings, by joining in a unique remembrance voyage from 5th May to 6th June 2014. Just twenty ports were selected to take part in this nationwide event, which marked the immense effort made to enable allied troops to embark on the momentous and surprise invasion of occupied Europe in June 1944! This 70th Anniversary Voyage was organised by D-Day Revisited in association with the Royal British Legion City of Liverpool Branch. Photographs of the bagpipes on their journey can be seen on our D-Day Revisited Facebook page. On 6th June 1944 the combined beach and air assault codenamed OPERATION OVERLORD would see over 150,000 troops landed on the first day, mostly by the Royal Navy and the Royal Air Force. D-Day was the biggest ever assault on a hostile coast up to 7,000 ships and a million men crossed the English Channel to force the liberation of Europe. 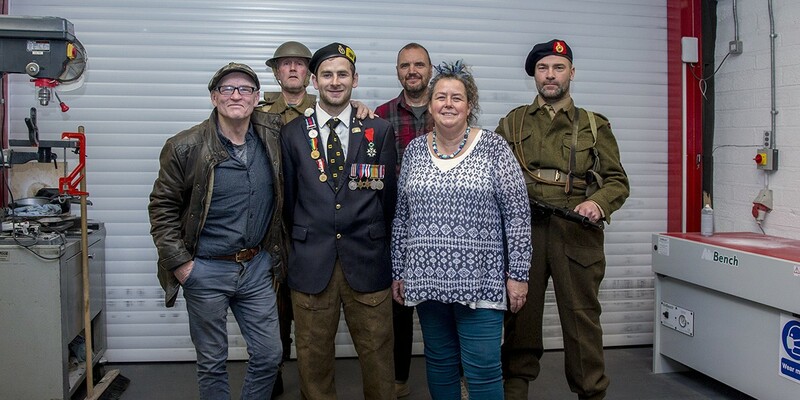 Leading within a few months to the liberation of France and the subsequent liberation of Europe, the D-Day story has much of its roots in the Highlands of Scotland. 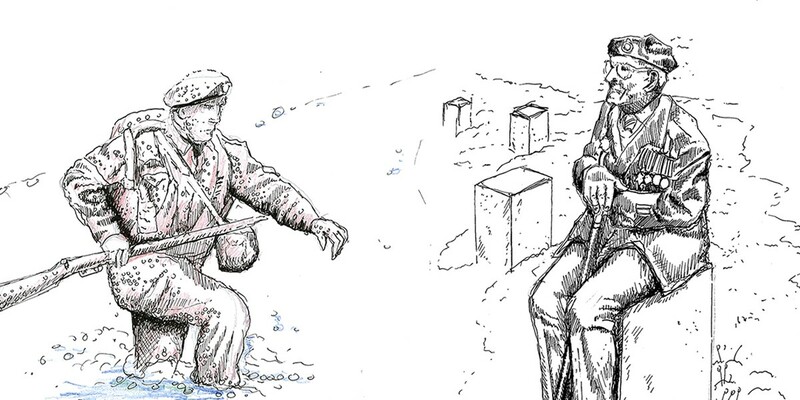 New types of training were devised, especially for the Commandos. Away from bombing and aerial surveillance, Inveraray became a massive training centre for British & Canadian forces. Other historic bases were established at Inverailort and Achnacarry, with practice landings being carried out all over the Western Isles. This is a peoples story which deserves to be told by the people. In this Remembrance Voyage it has been for the communities to become involved, to celebrate and commemorate their key part in the Overlord & Neptune story. From its ceremonial beginning at the Spean Bridge Commando Memorial on 4th May, the Voyage set off from Fort William the following morning and proceeded from Scotland to Ulster, home to many training areas. In North Wales, Conway had seen the beginnings of the Mulberry Harbour which was vital to planning for the invasion of Europe. Further south, Milford Haven was the northernmost direct port for the Landings. Then down to Cornwall and the Channel coast, the Voyage called at all the main embarkation ports. Due respect is included to the United States troops who departed from ports in Cornwall and Devon, including a special ceremony held in Lyme Bay off Slapton Sands in memory of those who lost their lives during that tragic D-Day training exercise, Operation Tiger. DUNKIRK our troops were driven from mainland Europe in 1940 to return four years later. On the beaches of Dunkirk, in close support of the Royal Navy it was the legendary Little Ships which saved the Army: privately owned pleasure craft, fishing boats and ferry boats. As it was then, so it was seventy years later for the peoples effort to celebrate and commemorate this 70th Anniversary in a relay of Little Ships from Fort William to Portsmouth. 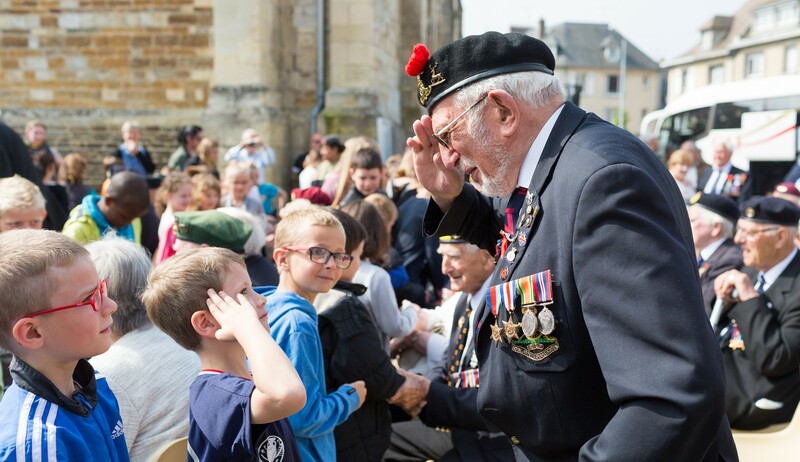 At each Port the local community gathered in celebration, involving all ages: those who remember D-Day first hand through to schoolchildren and youth groups who took the opportunity to learn the key role played by their home town. PIPER BILL MILLIN was trained at Achnacarry Castle in the Highlands and subsequently became the personal Piper to Brigadier Lord Lovat in the first landings on Sword Beach at dawn on D-Day. The 70th Anniversary saw the last gathering of Normandy Veterans in quantity and we present the Piper Millin story in representation of the best of British Military traditions. In Bill Millin we see courage and daring exemplary of the men who assaulted and breached Hitlers Atlantic Wall of defence. Here was a man who landed with the first wave of Commandos and under heavy fire, armed only with a dirk sheathed in his right sock, he marched along the waters edge playing his Pipes to lift the spirits of the troops as they waded ashore. Although Bill died in 2010, his legend will endure as an ordinary man called upon to play his extraordinary part in history. In close cooperation with the Millin family, a set of bagpipes was made by historic manufacturer, RG Hardie & Company Ltd. of Glasgow. Alastair Dunn and his craftsmen at Hardies produced an authentic replica of the Peter Henderson Military Pipes used by Piper Bill Millin when he landed on Sword Beach with the commandos of the First Special Service Brigade under Brigadier Simon Fraser the 15th Lord Lovat. To aid authenticity, the Millin family donated a chanter from an original set of Pipes owned and played by Bill Millin. As the original D-Day set is in the Dawlish Museum and the Normandy Pipes (used after the Landings) are in the Pegasus Bridge Museum, by including this chanter into the Replica Pipes we make the closest possible link with that first commando assault. A special effort was also made to match the discoloration of the ivory fittings. Bagpipes of that period are well known for the orange appearance of joints as material used seventy and eighty years ago has been affected by ultra-violet light. A variety of polymer pigments have been used to accurately replicate this feature and it is hoped that Pipers who notice such detail will appreciate the care which has been taken. WHAT HAS THE DUNKIRK EVACUATION TO DO WITH D-DAY? .in the epic of Dunkirk our great grandchildren, when they learn how we began this war by snatching glory out of defeat and then swept on to victory, may also learn how the little holiday steamers made an excursion to hell and came back glorious. Precisely four years later was D-Day: the Normandy Invasion. Winston Churchills famously rallying speech We shall fight them on the beaches had been delivered to Parliament on 4th June 1940. By that exact same day in 1944 thousands of ships and landing craft were loaded all along the English Channel coast ready for the signal to return to those beaches, yet this time as Liberators. In so many ways the story of D-Day began at Dunkirk with a Nation stirred into action, through four years of the peoples endurance, defiance against aerial bombing, training, building resources, connecting with the New World through the Atlantic Bridge and finally turning the South of England into a huge army camp. The crucial point to be made through the symbolism of this grand Millin-Montgomery Tribute Voyage is that all parts of the Country played their part. Communities throughout the land contributed to the Invasion and its ultimate success. 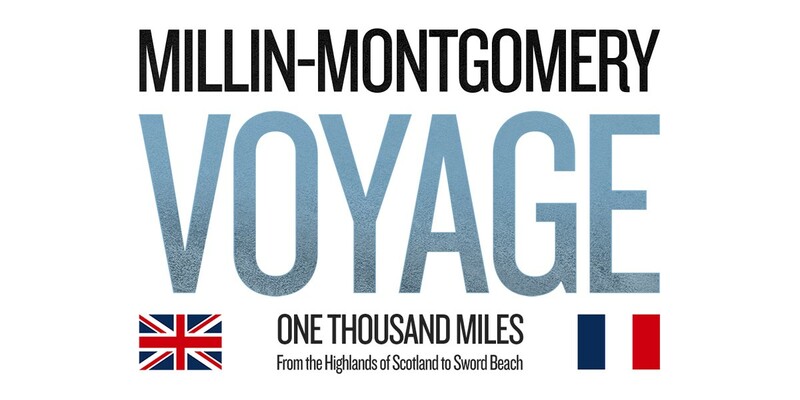 This Millin-Montgomery anniversary voyage was predominantly a British event, yet this is a world-wide story. After his appointment as Prime Minister on 10th May 1940, Winston Churchills first speech three days later laid open the desperate situation, immediately demonstrating his trust of the British people. After years of appeasement and demilitarisation, Churchill knew that Britain could not win this War alone; yet he also knew that Britain could lose it. Without the Little Ships rescue at Dunkirk, an enforced peace deal with Hitler would have neutered Britain to become a subjugated State. The British Isles as the last bastion of freedom would not have been available for the launching of D-Day, whilst the full & undistracted might of the Wehrmacht would likely have subdued Russia. Rather than the United States being able to launch an invasion across the Atlantic, it is more likely that liberation of Europe was wholly dependent upon Britain remaining free and defiant to harass the occupying forces, to maintain the hope of eventual freedom for the peoples of Europe. After a 1000 mile journey, the final act in this tribute voyage took place in the small French town of Colleville-Montgomery which is situated in the background of Sword Beach. 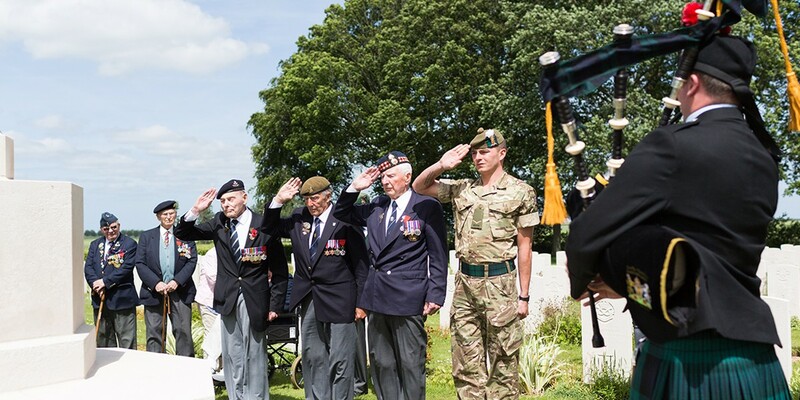 During the evening celebration and commemorative dinner held there on Friday 6th June, 70 years to the day since the first landings, the Pipes were played in front of the assembled Normandy Veterans and townspeople. This is just about the best day of my life earlier this evening I played in front of all the townsfolk at the ceremony held alongside Bill Millins statue at the edge of Sword Beach. Now I have played the Millin-Montgomery Pipes in front of this gathering of the men who landed here; it is the greatest honour and privilege. The Millin-Montgomery Pipes were then handed over to John Millin to symbolically represent this return of the Liberators. Accepting the Pipes on behalf of Colleville-Montgomery, John Millin agreed to keep them safe for the summer anniversary ceremonies, then to be returned to D-Day Revisited for future use on behalf of all Normandy Veterans. In this way, a meaningful bond was renewed between the Highlands of Scotland where so many of the Liberators were trained, and the Sword Beach community of Colleville-Montgomery, a small French town fittingly renamed in tribute to Field Marshall Montgomery and his troops. During the voyage, all four parts of the Union were visited and tied together; from the rugged Highlands and Islands of Scotland, to Belfast and Carrickfergus in Ulster, to North & South Wales and on to the West Country of England, finishing with a tour along the English Channel coastal communities into Portsmouth for the Channel crossing. To celebrate the veterans whilst they are still with us, using the D-Day Pipes to help tell the story of the geographical broad base from which the Invasion was launched. To show the veterans they are not forgotten and to pay tribute to those who left each port for the invasion, some never to return. This includes a tribute to the port towns themselves, recognising and remembering each communitys contribution to the Invasion effort. To reach the widest population: through the exciting visual impact of the Little Ships encouraging visitors of all ages to join the celebration.The Voyage attracted attention of teaching professionals, schools & schoolchildren, helping to engage with younger generations. 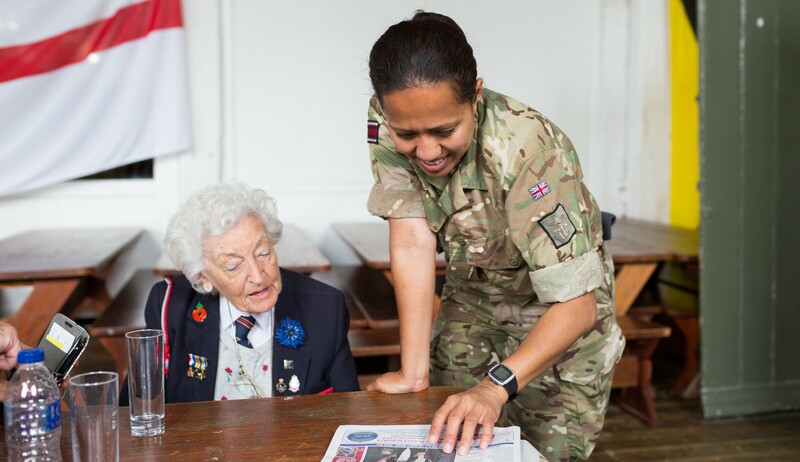 Ideally the voyage will have provoked school competitions and projects associated with local involvement with the historic Normandy landings of 1944. The Millin-Montgomery Voyage of Little Ships initiative was not a fund-raiser. However, some private donations were made along the route, all of which have been individually acknowledged with gratitude. Most importantly, this initiative offered the opportunity for people to contribute their time and enthusiasm to make this plan work. It was a celebration and commemoration of our people by our people particularly boating and yachting groups who joined in and become part of this Remembrance Voyage. Until arrival into Portsmouth, media involvement was always fittingly local, with interest from Regional Press. 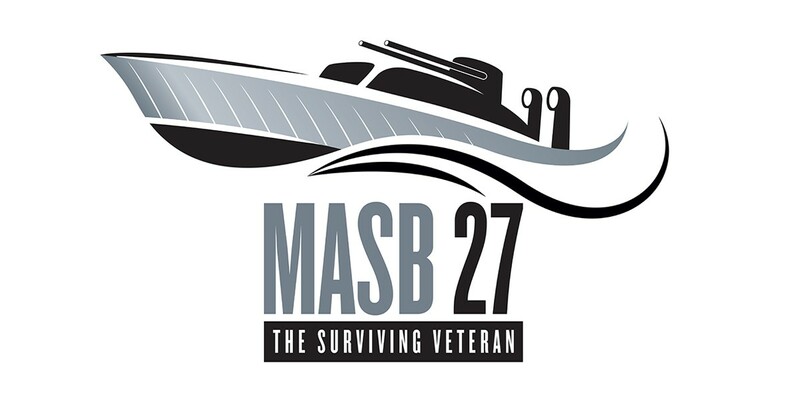 Throughout this anniversary voyage, motivation is always in the interests of veterans and for the education of the wider public in awareness and appreciation of the D-Day story.